Today we’ve got a world premier for ya. 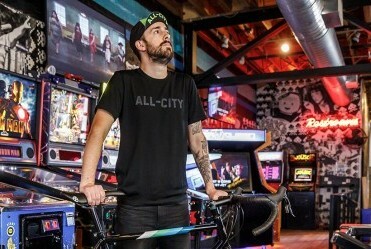 As you may know, we’ve been building and riding bikes for TEN DANG YEARS here at All-City Cycles. All you party animals probably think that’s worth celebrating — and you’re right. Fact is, we were born to party! So how are we gonna celebrate? We’re gonna celebrate you. Our friends. Our community. You helped us build this. You helped us get to where we are. You hung with us through the skids and the track stands, through the alleycats and bandit cross races, and from the crits and gravel centuries all the way to urban singletrack. Bottom line, you’re the reason we go hard each and every day, the reason we won’t quit doing what we do best — making the finest production bikes you’ll find on any surface. So, step up, take your smack on the back, and settle in for the main attraction: The release of our 10th Anniversary Video. Yeah, that’s right, we did a thing. After a decade of grinding and pushing pedals, this video is our chance to take a minute, tell our story, thank the folks who’ve made All-City Cycles the best (and best-looking) in the world, and re-commit to continue doing what we do. And if you’re just now discovering who we are and what we’re about? Join the party. Let’s see if you can keep up. None of this would be possible without all of you All-Citizens, and if you like what you see, well, we can’t blame you for telling your friends about it. Hope you dig it, and we’ll see ya on the streets! 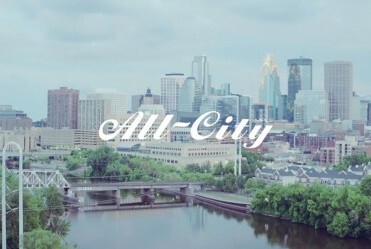 10th Anniversary Video from All-City Cycles on Vimeo.